Motorcycles have become increasingly popular in recent years for several reasons across San Diego. Motorcyclists will usually take advantage of good weather for riding, they can see many different things when they travel and they can even move through heavy traffic conditions with relative ease. None of this even takes into account the financial benefits of traveling on two wheels. All of these factors should lead to no surprise when people learn that motorcycle registrations have been steadily rising across the San Diego for many years now. Given the popularity of this mode of transportation, much more attention has been paid in recent years as compared to the past to motorcycle safety. 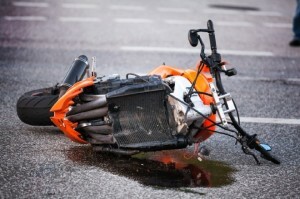 These public awareness campaigns and law enforcement efforts have all contributed to a slight decline in the number of motorcycle accidents that have caused injuries in recent years. It is clearly a positive trend that while more people are riding motorcycles, fewer people are injured or killed in crashes. Unfortunately, that does not mean that thousands of people are not still badly injured or worse in motorcycle accidents every year. According to the National Highway Traffic Safety Administration, hundreds of thousands of motorcycle crashes occur in the country every year and more than 80,000 people are injured. In addition, more than 4,600 people were killed in the most recently-available year with reporting data. Legal Help For San Diego Motorcycle Accident Victims. People in San Diego who have been wrongfully harmed in a motorcycle accident need to take immediate steps to protect their legal rights, but this is not always easy considering the fact that they are already dealing with significant amounts of pain and suffering. These people are not put in any better a position when insurance companies soon come calling in hopes of ‘resolving’ the issue as quickly as possible so that the injured person can recover some compensation in order to help pay for the medical costs associated with the crash. 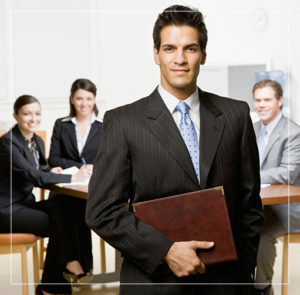 Reputable San Diego Accident Attorneys – Top lawyers for all motorcycle accidents. Anyone in San Diego who has been harmed in this manner or who has lost a loved one needs to contact National Injury Help, as soon as possible. The team of motorcycle accident lawyers at the firm has been representing clients across San Diego county for years, and we understand what it takes to properly evaluate a potential claim and how to make proper recommendations to people who face this difficult situation. This basic knowledge leads to better decisions by injured motorcyclists, and this is important because one mistake at this juncture can lead to additional and unnecessary struggles for them. If you or someone you love has been wrongfully injured in a motorcycle accident, you need to let experienced San Diego motorcycle accident lawyers & attorneys at National Injury Help professionals handle this matter so that you can focus on your physical and your emotional recoveries. You also need to be sure that you are pursuing all of the different types of recovery that the law entitles you to pursue. Contact National Injury Help today to schedule a free initial consultation so that you can begin the process of protecting and enforcing your legal rights.